God’s small graces startle me. 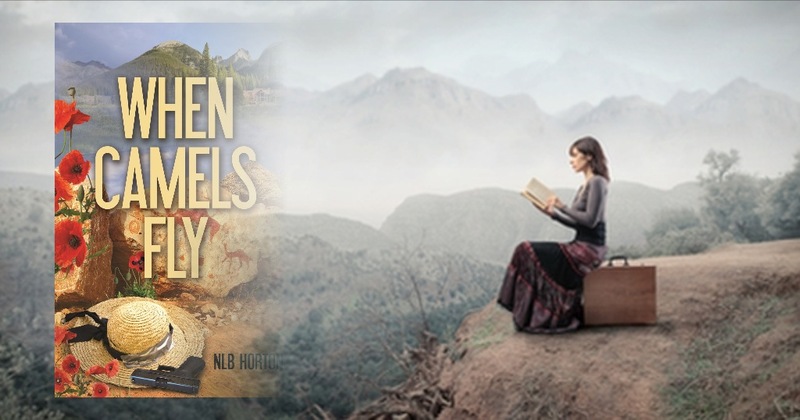 They did high above the Sea of Galilee in March while standing on the Cliff of Arbel, looking at an arc of shoreline laden with archaeological wonders. My mind was firmly there: Capernaum, Tagbha, the Mount of the Beatitudes—well-preserved sites I would visit again in days. The wind was stiff, blowing up the thirteen-hundred-foot edifice. The skies, cloudy. 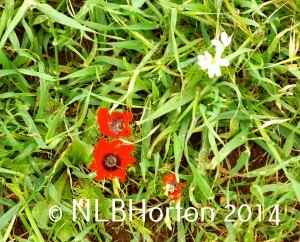 Rain threatened, and for once, I wasn’t sweating like a wild boar in Israel. Shuffling along the ridge, mindful of respectful distance because I am not the most graceful of God’s creatures, I decided to investigate flowers I had seen on the roadside northward from the desolate Dead Sea. I smiled, remembering they were part of God’s general revelation of Himself. Ways to enrich our lives with beauty. Small gifts, as it were. 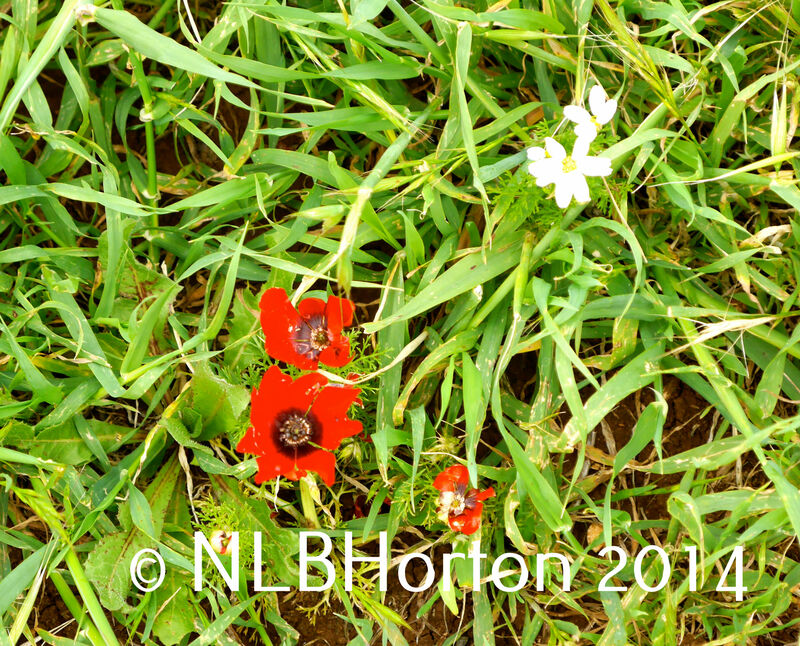 Anemones (which I thought were poppies from afar); daisy-like wildflowers; and wild iris, just like those that lay in pale blue washes across meadows of our high-mountain ranch in the Rockies. 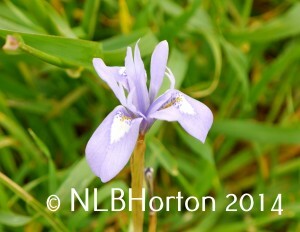 Then I thought of the universality of those iris. Here they sat, high above a lake (which is really what the Sea of Galilee is) halfway around the world from where I live. For thousands of years, people have seen these iris in the more verdant parts of the Middle East, just as my kids saw them every summer. Just as I see them last week, poking through snow here in my yard. They’re small graces. For which I’m thankful. 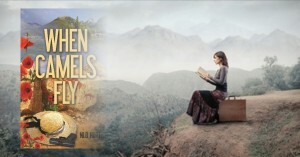 What better way to start the soft release of When Camels Fly than to find this graphic, plus a five-star Amazon review, in my inbox? It’s on a lovely UK blog called BooksGoSocial.com (which I also recommend). Way to start my morning! And so glad you’re here to share the fun. My youngest graduated yesterday from one of the toughest schools in the country, with a degree in Geological Engineering. My son won his first court case. I published When Camels Fly. And we celebrated our 27th anniversary. 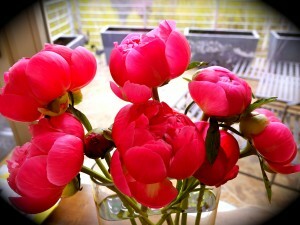 Nine pink peonies — my favorite flower — are blooming on my desk. It’s snowing (okay, that part is NOT so good). And I am … relieved. I’m not celebrating Mothers’ Day, I’m celebrating Mothers’ WEEKEND! And I am thankful. For my eighty-something parents. Twenty-something daughter, son, and daughter-in-law. Mr. Wonderful. Extraordinary people who use their gifts, live honorably, and make the world a better place—especially when the going gets tough. As I catch my breath today, after seeing those I love leap tall buildings in a single bound, I am telling them how proud I am of them. How thankful I am that they surround me in this journey called life. And in their honor, I am saying prayers … of thanksgiving. Take the time to do the same. Encourage those you love. And if you haven’t already, call your mom. She is thinking of you. Blame it on the heat. Or fatigue. But the third time I passed the pomegranate juicer in the Old City of Jerusalem, I decided it was time for a little drinkiepoo. Here they are. In all their beauty on the left. His stack was at least two feet taller than the crate outside the shop. A big pile was on his right and a plastic container on his left, the latter holding halved pomegranates ready to be squashed. The colors alone were enough to seduce me. 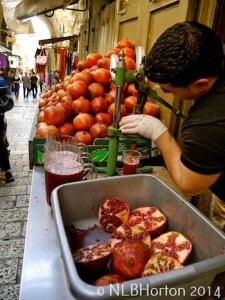 The Old City is a place of scents (and sights and sounds…). 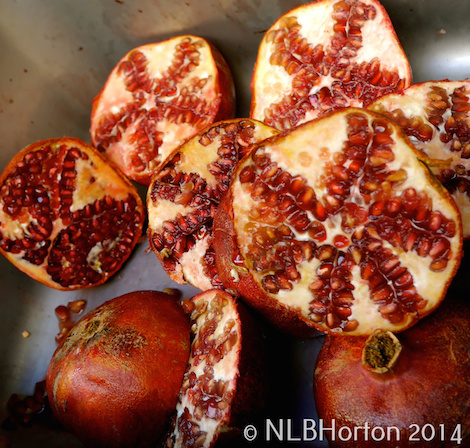 The pomegranate man was there every day. 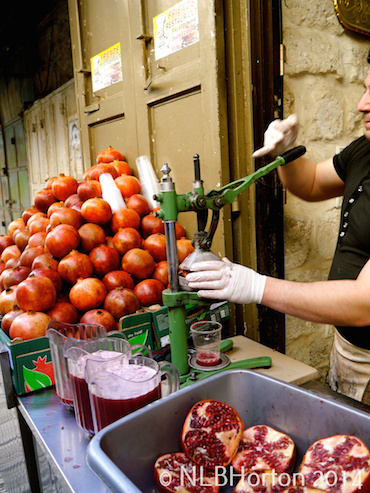 Patiently juicing pomegranates, one half after another, waiting for locals (most of his market, from what I observed) and the occasional brave tourist to slake their thirst. I had passed oranges juicers. And lemon juicers. Date juicers were probably lurking somewhere. But everything paled in comparison to the pomegranate guy. In an ancient place, he wore plastic gloves. I found that totally incongruous, but encouraging. I had just, somehow, stupidly wandered through the butcher alleyway, trying to look unaffected by a stomach-churning smell. I didn’t want to be rude to the severed head of goat or the lamb shanks (legs) with hoofs still attached, so tried to be discreet as I held my hand over my nose. (Epic failure.) I told my husband I was walking ahead to meet him where the meat ended. I could not imagine that alleyway in August. Which brings me back to the pomegranate stand. And the man who stood there patiently juicing pomegranates at every hour of the day. See how carefully he positions the pomegranate half in the photo to the left? That’s a man who takes pride in his work and in getting it right. Does he worry about unemployment? Health care? His children’s education? Old age? Has the recession impacted him, and does he covet a pair of Nikes? Does he own a car? Is it insured? When he sits with his friends, what do they talk about? Sports? Immigration (where the illegal is most likely a terrorist)? The stock market? His daily grind is, literally, a grind. I hope he sleeps well at night.